After years of research, the world’s best runners told Nike what they were craving: a snug and agile shoe that fits like a sock and is as light as a feather. Nike embarked on a four-year mission with a team of programmers, engineers and designers to create the perfect technology. 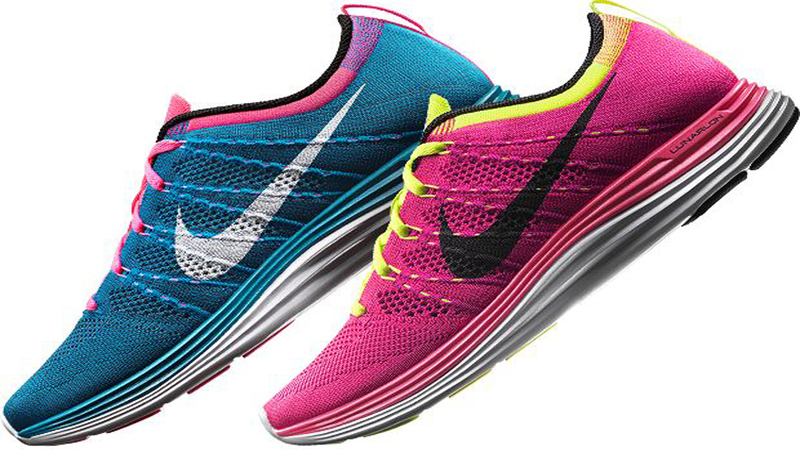 And Nike Flyknit Lunar1+ was born. Nike Flyknit Lunar1+ features an innovative upper, constructed entirely of tightly woven polyester yarn that varies in density: more open in targeted areas that need greater flexibility or ventilation and tighter in areas that demand support. This ultra-light (just 8 oz. in a men’s size 10) shoe combines revolutionary second skin fit and ultra-soft Lunarlon cushioning to give you the perfect run — every stitch, every stride.